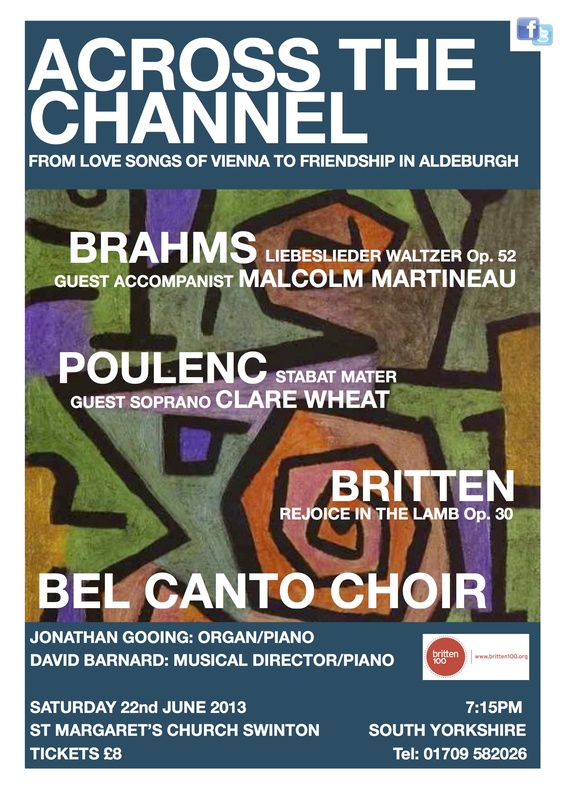 Bel Canto are delighted to welcome pianist Malcolm Martineau to the concert in June in which he will join our resident accompanist, Jonathan Gooing, for the four-hand original version of the Liebeslieder Waltzer Op. 52 (Brahms). Here is some information on Malcolm and his achievements. 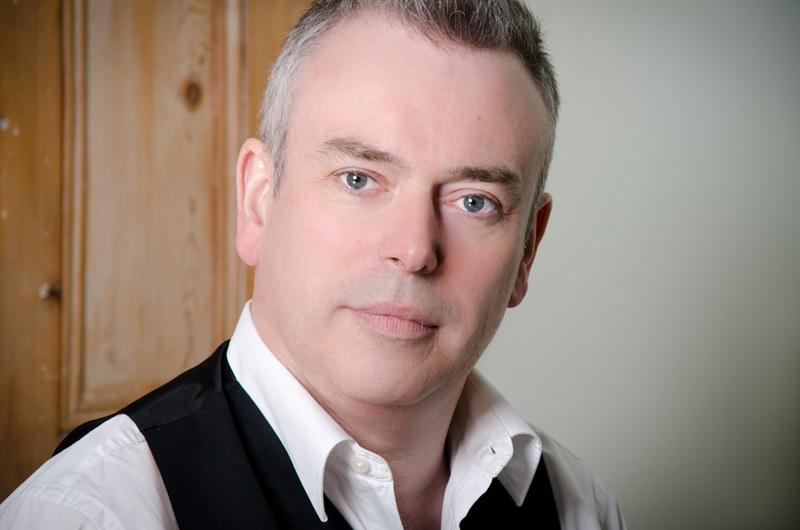 Malcolm Martineau (born 3 February 1960) is a Scottish pianist who is particularly noted as an accompanist. Born in Edinburgh, and educated at George Watson’s College, Malcolm Martineau read Music at St Catharine’s College, Cambridge. In 1981 he went on to study at the Royal College of Music and currently studies with Joyce Rathbone. Malcolm Martineau has played in Paris, Amsterdam, Munich, Vienna, Milan, Berlin, throughout the United Kingdom and in North America accompanying many of the world’s leading singers including Thomas Allen, Dame Janet Baker, Barbara Bonney, Susan Graham, Della Jones, Simon Keenlyside, Tom Krause, Dame Felicity Lott, Anne Sofie von Otter, Frederica von Stade, Bryn Terfel, Sarah Walker and Ainhoa Arteta. Among many noted instrumentalists he accompanies clarinetist Emma Johnson. He has appeared at numerous festivals throughout the United Kingdom, has given many recitals for the BBC, and appeared at the Aix-en-Provence, Vienna, Edinburgh and Salzburg Festivals and in North and South America. He accompanied the winners of the Lieder prize at the 1989 Cardiff Singer of the World competition, and at the 1990 Elly Ameling Award. He has accompanied at masterclasses at the Britten-Pears School in Aldeburgh for Dame Joan Sutherland, Elisabeth Schwarzkopf, Suzanne Danco, Ileana Cotrubas and Kurt Equiluz. He presented his own series at St Johns Smith Square of the complete songs of Debussy and Poulenc and a major Britten series at Wigmore Hall (both broadcast by the BBC). Recent recordings have included Schubert, Schumann and English song recitals with Bryn Terfel (for Deutsche Grammophon), Schubert and Strauss recitals with Simon Keenlyside (for EMI), recital records with Angela Gheorghiu (for Decca), Emma Johnson, Della Jones and Yvonne Kenny, the complete Faure songs with Sarah Walker and Tom Krause, the complete Britten Folk Songs for Hyperion, the complete Beethoven folksongs, and the song recital “Songs My Mother Taught Me”, together with Magdalena Kožená, for Deutsche Grammophon. His awards include the Walther Gruner International Lieder Competition.